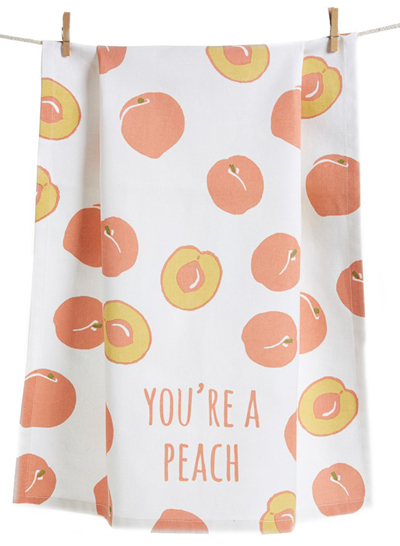 Dry your dishes, line a bread basket or wrap up a hostess gift with this cotton You’re A Peach Dish Towel featuring a charming graphic and a punny caption. $12. Free shipping. Buy here.